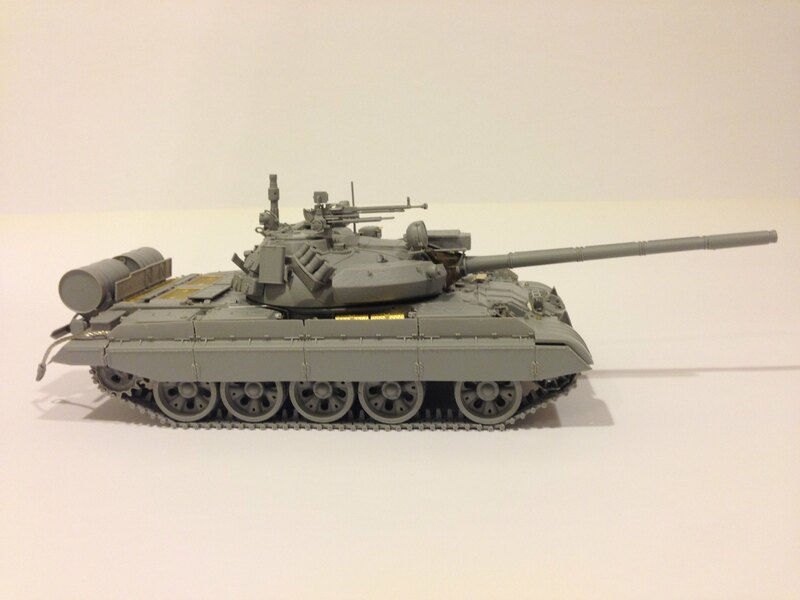 I have made a lot of progress with the T-55A since I have started work on this around August last year. I built this OOB and here are the progress shots from completed build through base colors and some weathering. These were right after I've completed the build phase. Here are the results after applying primer. And here it is after the base colors were applied. 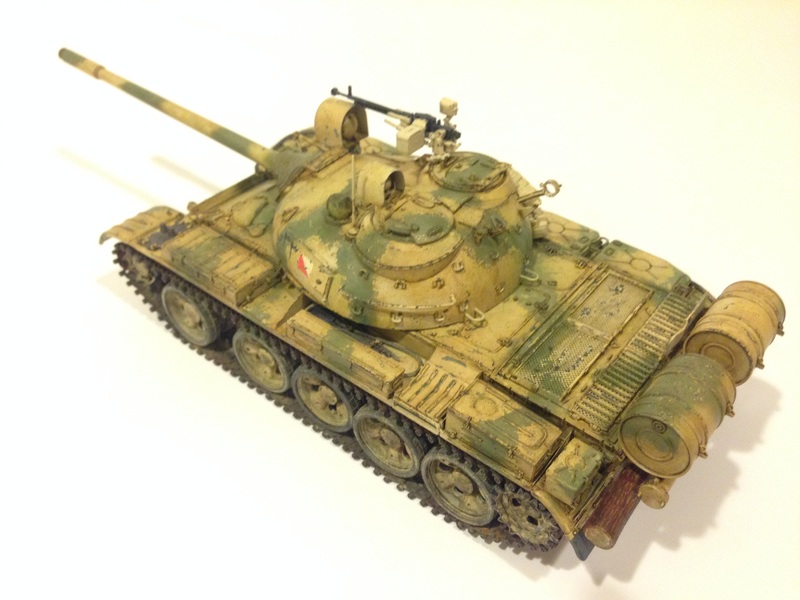 Last update for this kit, here are photos after initial weathering. 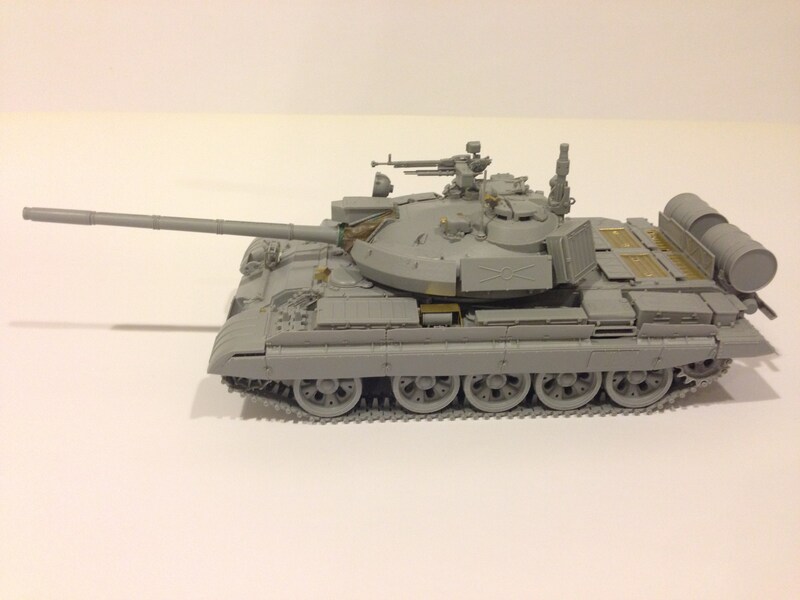 I have completed the build phase for kit 2057, the DDR T-55AM2B. 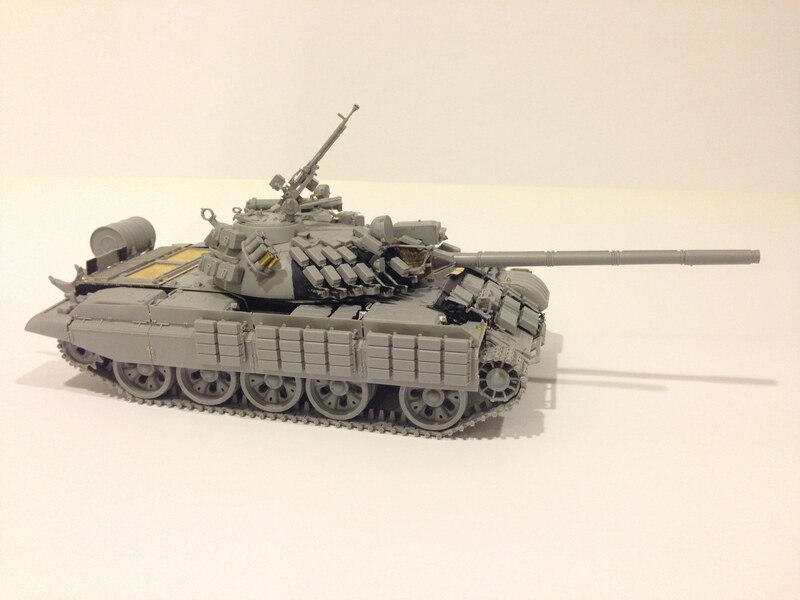 Aside from green stuff that applied around the mantlet, this kit was pretty much OOB. Here are the shots of this build. 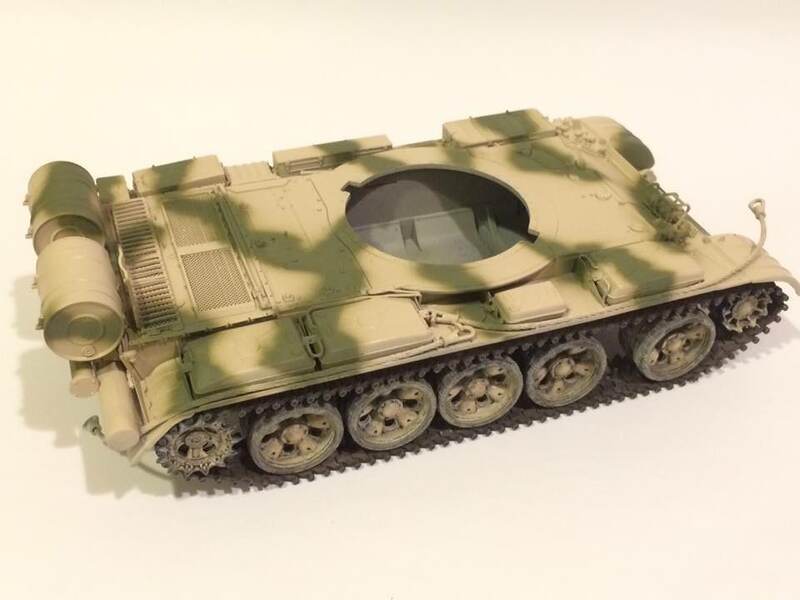 Next step for this is the application of primer. It was presented in such a clear manner, that I thought, "Hey, I can do that!". So, here's is the result. 1) I placed brass tubes and spare photo etch parts to serve as the spare track rack. 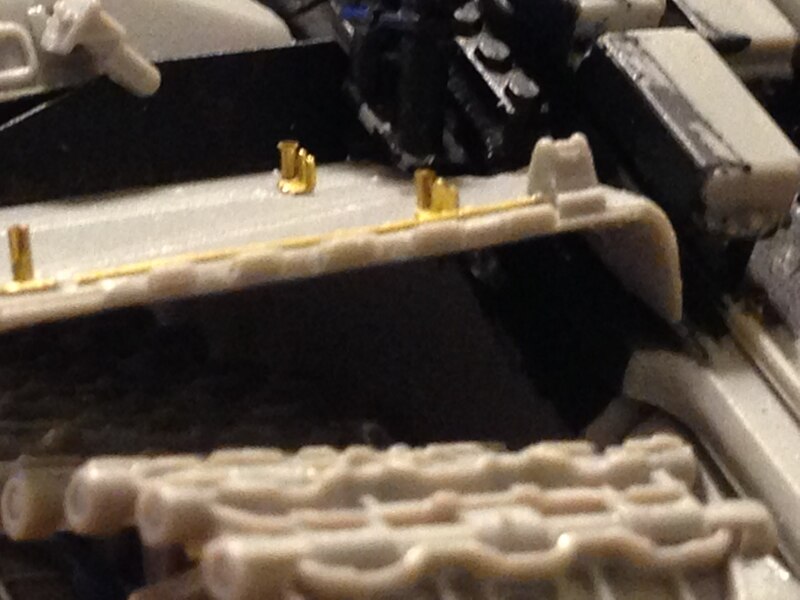 2) I replaced the fender retaining rod by removing the molded one and placed a brass rod. 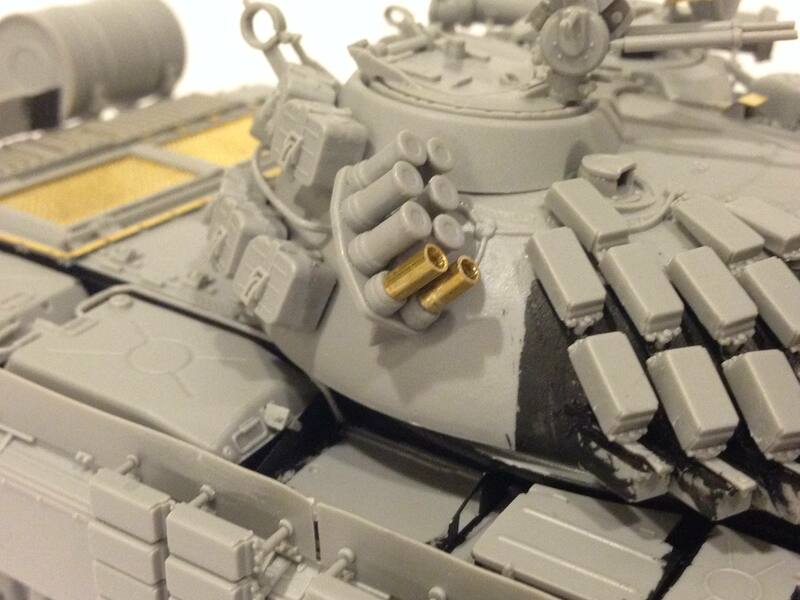 3) I placed brass tubes on where the blocks have been removed. 4) I applied some battle damage on the ERA block rack. 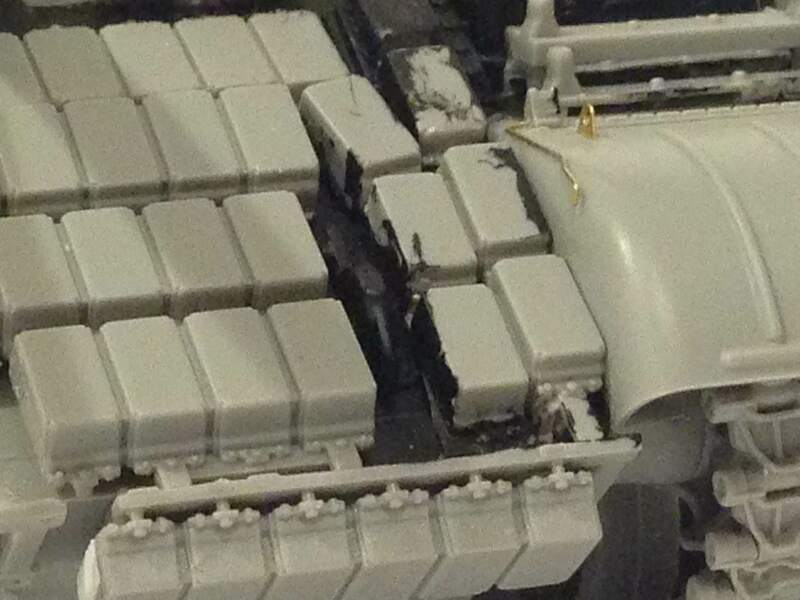 5) Filled in the side of the end block with plastic. These are the mods I made for the front of the left fender. 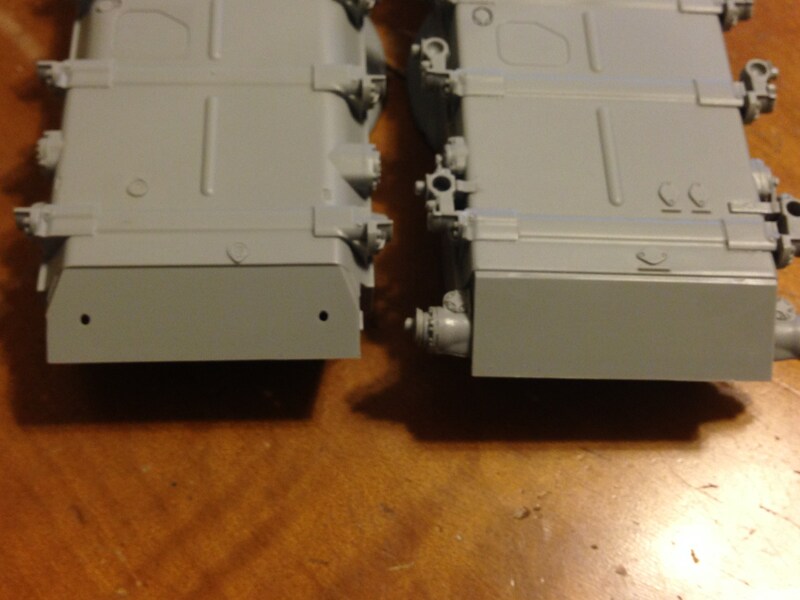 1) Removed details on the hinge to make it look like it broke off. 2) Shaved off the edge of the mud guard to thin it out. 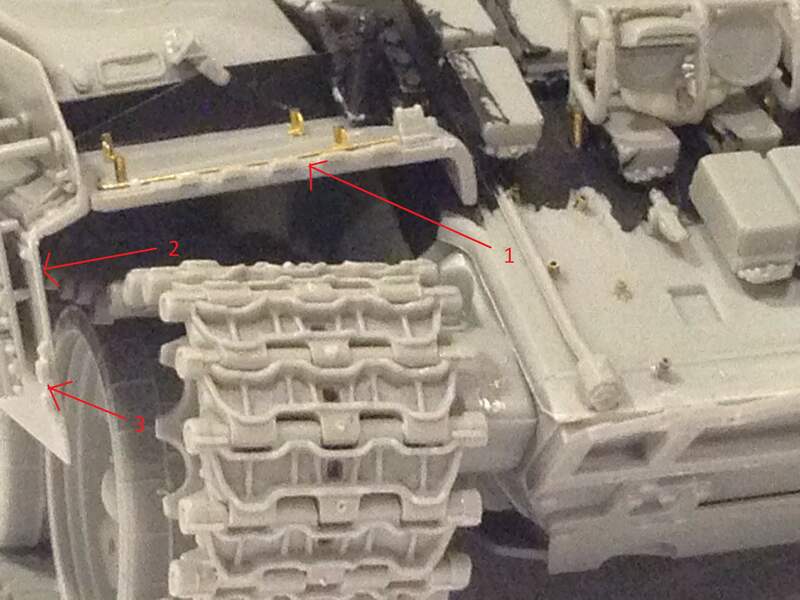 3) Also removed details from the hinge for the mudguard. In this picture, you can see that I shaved off the molded fender retaining rod and replaced it with a brass rod. Following the article, I also made replaced the bottom two smoke dischargers to make them look like they have been spent. 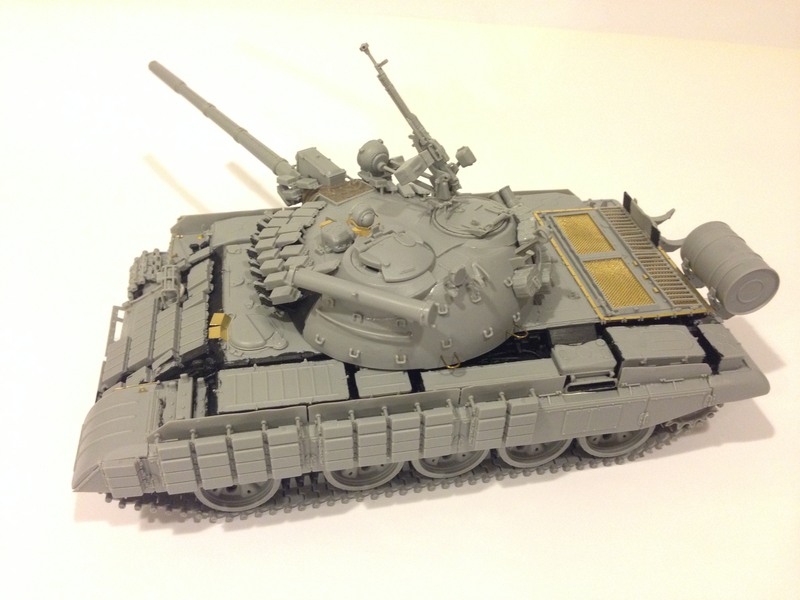 This is also ready for primer application. Thanks Robin! I keep hearing "Binge Watching" as it relates to streaming videos (which I'm guilty off from time to time) and then I made a connection. Yup, I am getting familiar with the instructions that after the first one, the build of the other two was much easier on the common items. 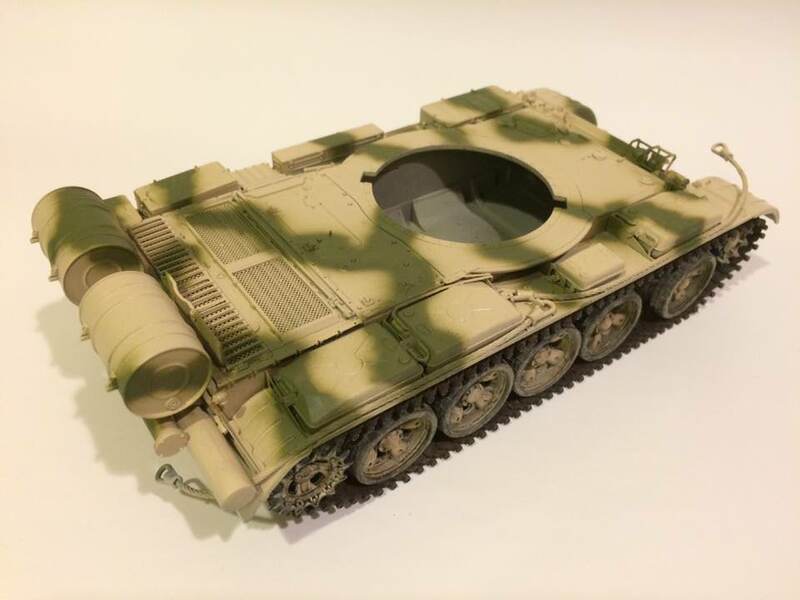 I still have to experiment some more with the weathering by using oil-dot technique and pigments. I'll try to be subtle, of course. Really nice work Joseph, that Binge build sounds like fun, like Robin pointed out you really get to know the ins and outs of the base kit while you go. I just wish I had more bench time to pull it off. And a bit of a suggestion, you might try thinning the fender a little under the hinge where you removed the mudguard, a little scraping with an Xacto blade shouldn't affect any of your added detail, you will get a lot of added detail for a relatively small amount of work. Very nice work! Can't wait to see how the other two turn out! Thanks very much, John. I took your advice and worked on the fenders. Here is the result now. Regarding bench time, for the last two tanks, I think I averaged 1 1/2 month each. I started around January for AM2B and then the AMV. I usually work maybe 3-4 hours on an evening. Three or four days in a week. I start at around 9:30ish and my quitting time each night is between 12-1AM. I don't go beyond that or I'll be a zombie the next day. While working, I either have a series of documentaries playing on Netflix or Amazon or I listen to audio books. Time goes fast! Thank you Colin, I am prepping up my primer and AB. Hopefully, one will be primed by this week. Just picked up the AMV and AM2B last week. They're in the stash until I clear of the work bench a little bit. 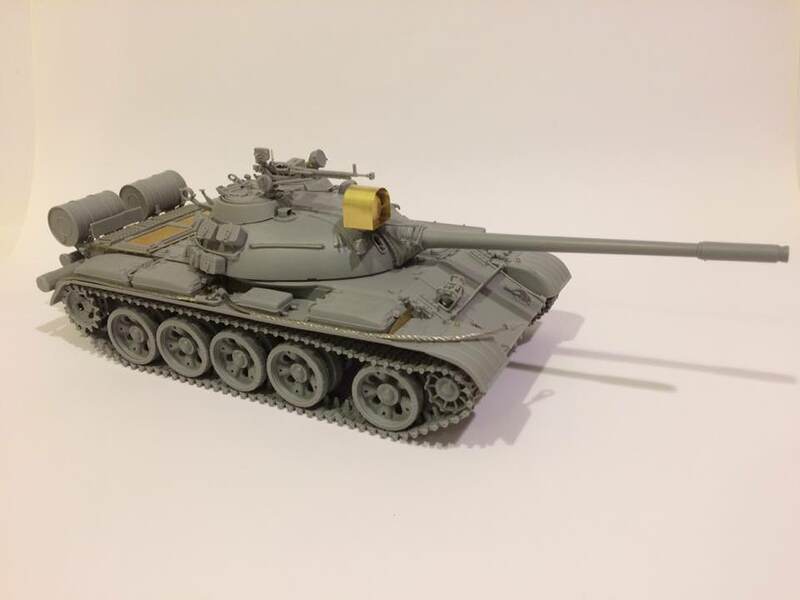 I have about 4 other marks of the T-55 in the stash that cover all time periods, so these are a good addition. 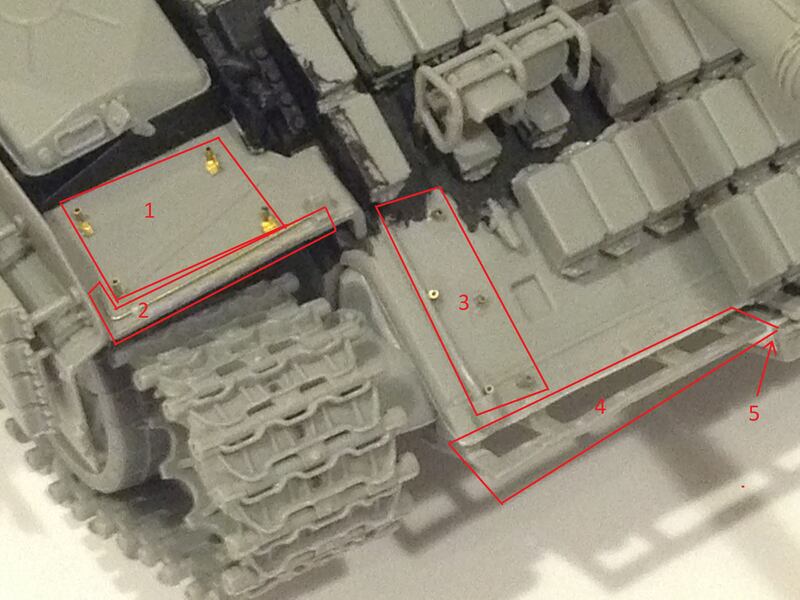 I have to admit I love the plethora of painting options they depict in the instructions. 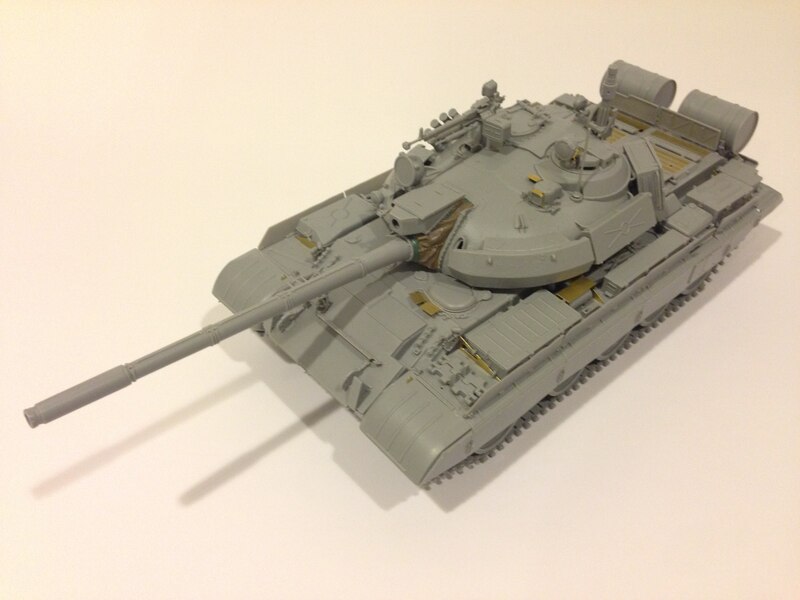 It will be nice to have a brightly camo'd T-55 as opposed to the typical Russian green other T series tanks I have on the shelf.Will watch this build with interest. Thanks Dave. 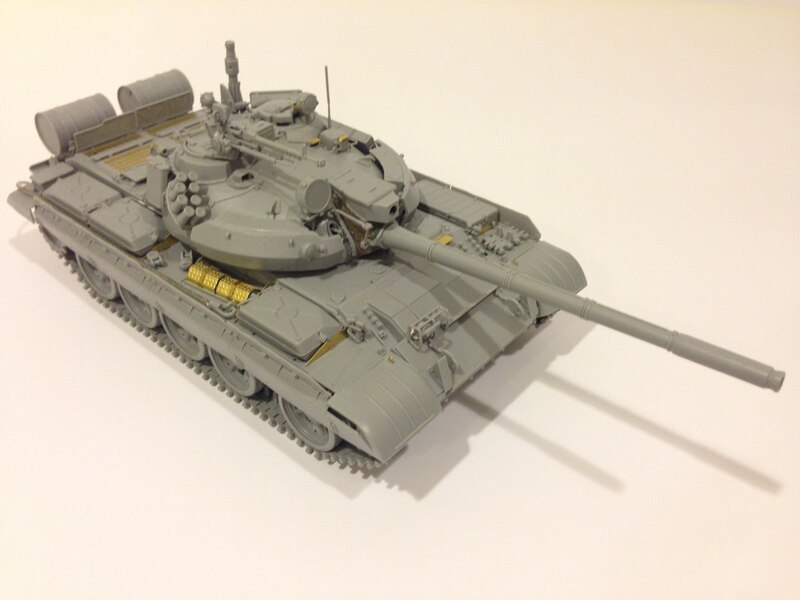 For sure, I've caught the T-55 bug. The various paint schemes definitely adds to the draw. 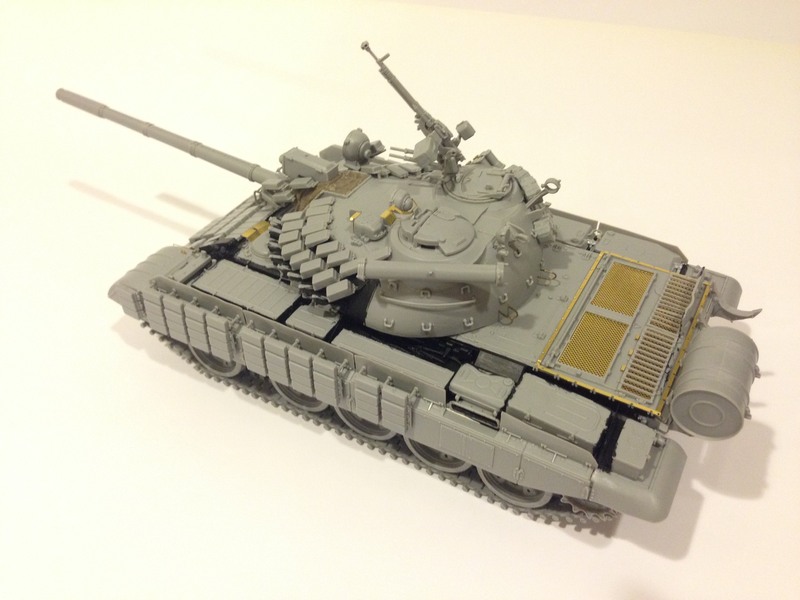 Now that you mentioned it, I first opted for my T-55 AM2B, kit 2057 as a DDR tank. Which is Russian green. 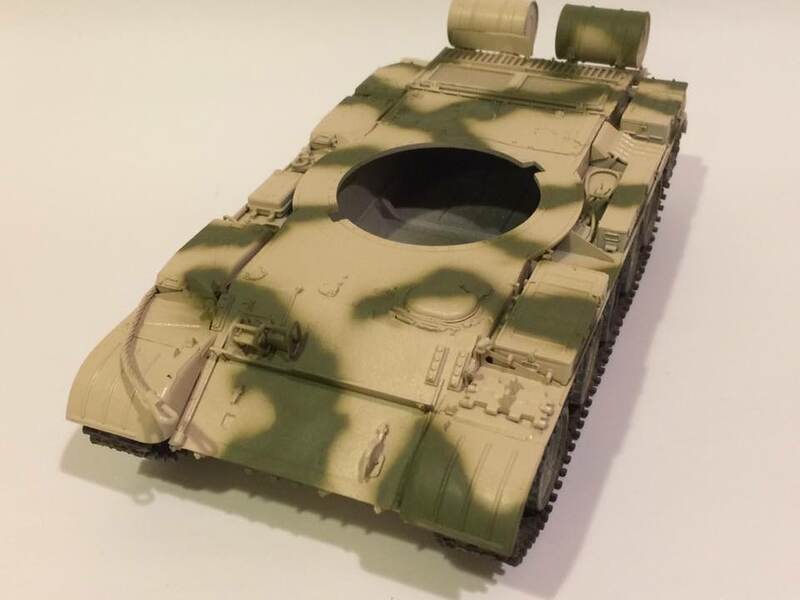 I missed it on the instruction before but I saw yesterday that there are camouflage schemes available. I'm reconsidering the finish for this one. I actually have other kits in my stash. 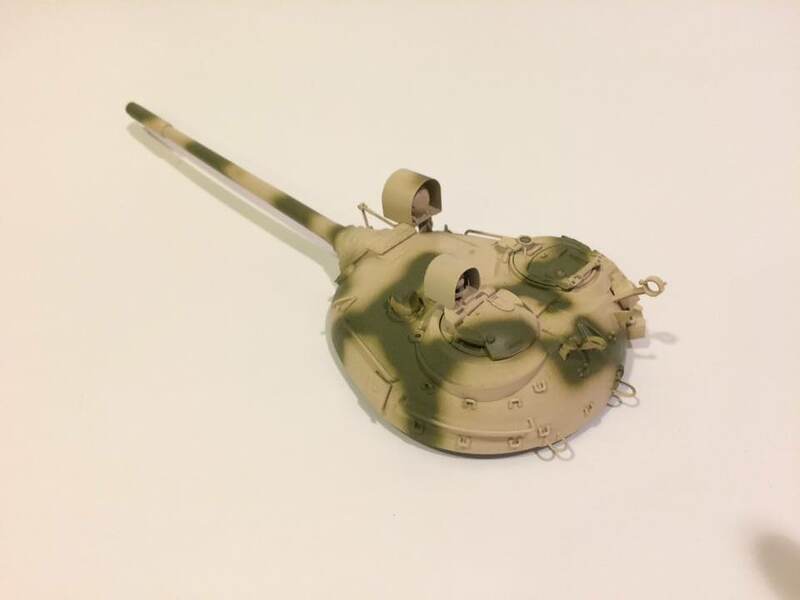 I've started on kit 2054, the Type-69II. 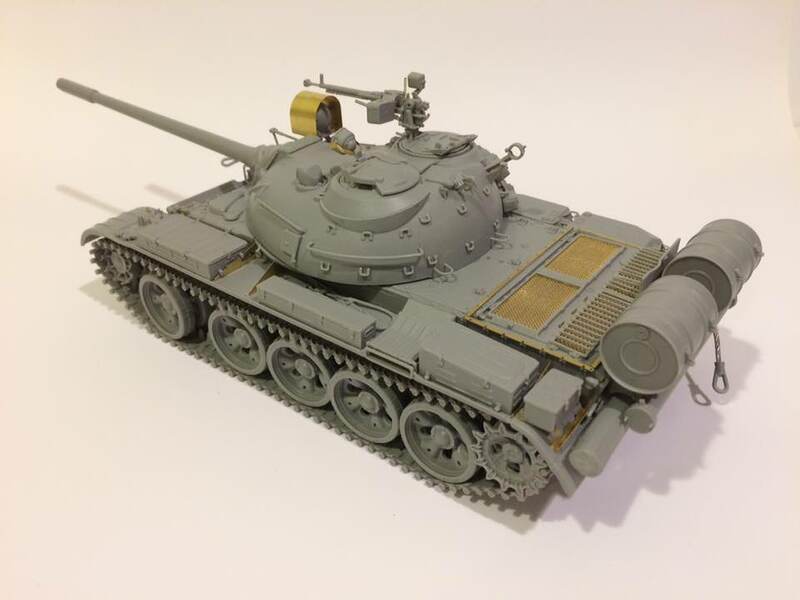 And I am also planning to work on kit 2055, the T-54B which can be included in this binge build because it is part of the family. 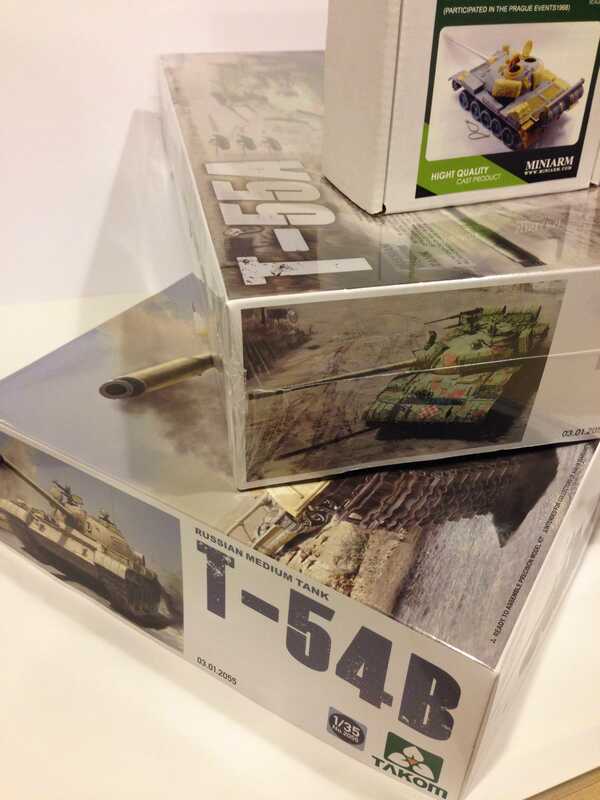 I also have the Esci T-55 (haven't heard good things about it, but we'll see...) and Tamiya's T-55A and Tiran 5. 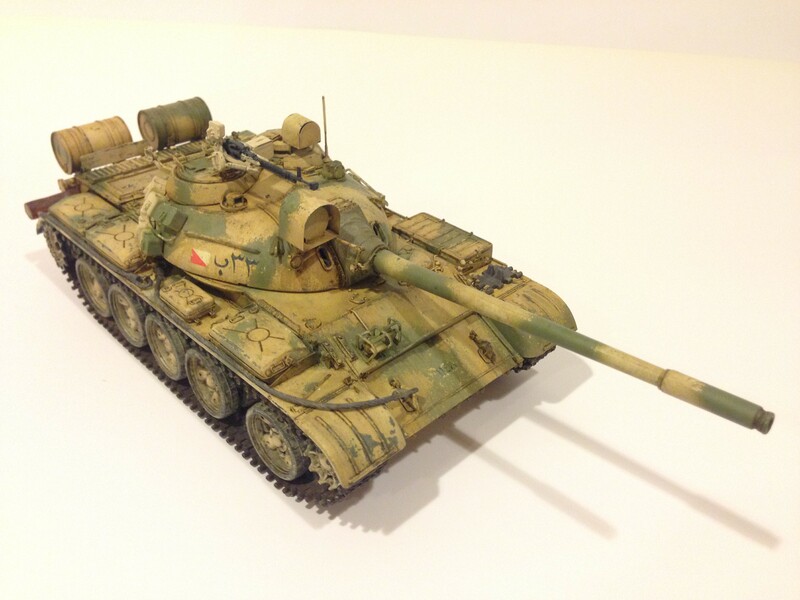 My favourite T-55 build to look forward to however is the Tamiya Enigma. Something about all those heavy blocks of armour and the counterweight rack at the back of the turret makes it stand out. Thanks Arpad, I have made a commitment to make a slight dent in my stash. 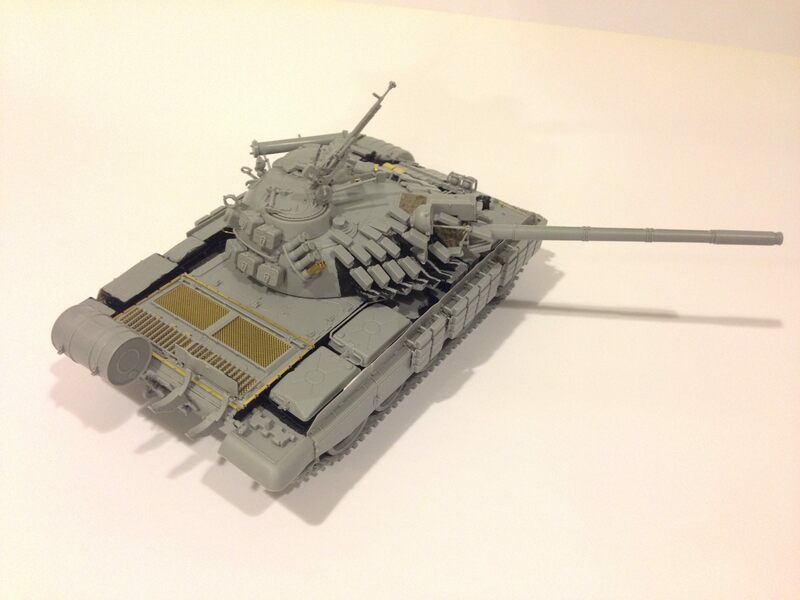 I have multiple kits of the Stug III and IV as well as T-62s. I'll decide which one to work on next once I'm done with this. I am shooting to complete most of this by August. Thanks again Dave. 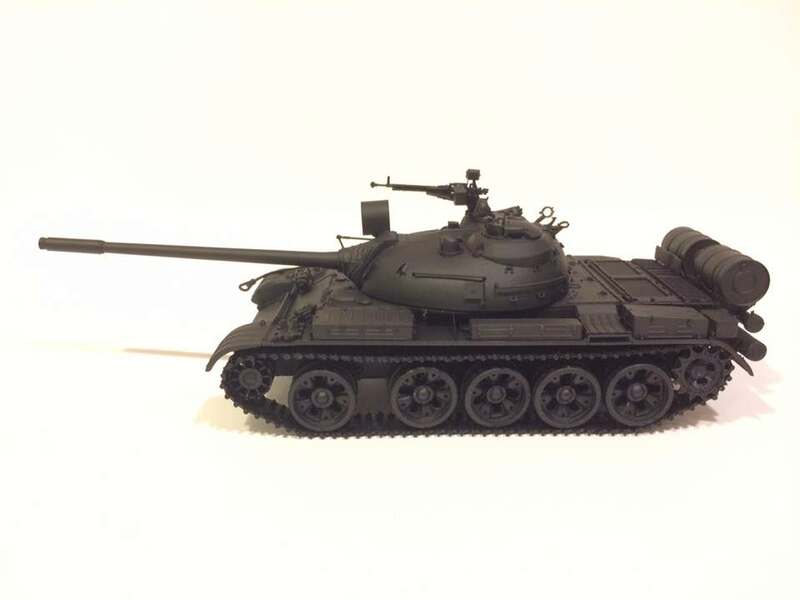 I don't have Esci nor Tamiya T-55 in my stash. I will have to check out your build if you decide to post them. 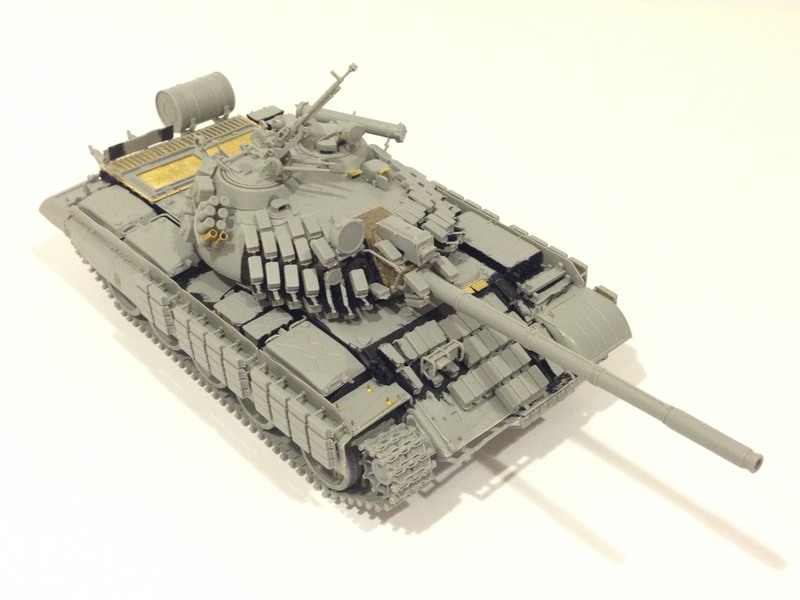 I do have a 1/72 Blackdog Enigma conversion set. This version caught my attention after seeing it as a base model by Luis Lopez Ruiz for his black and white technique. I have started work on a fourth kit. 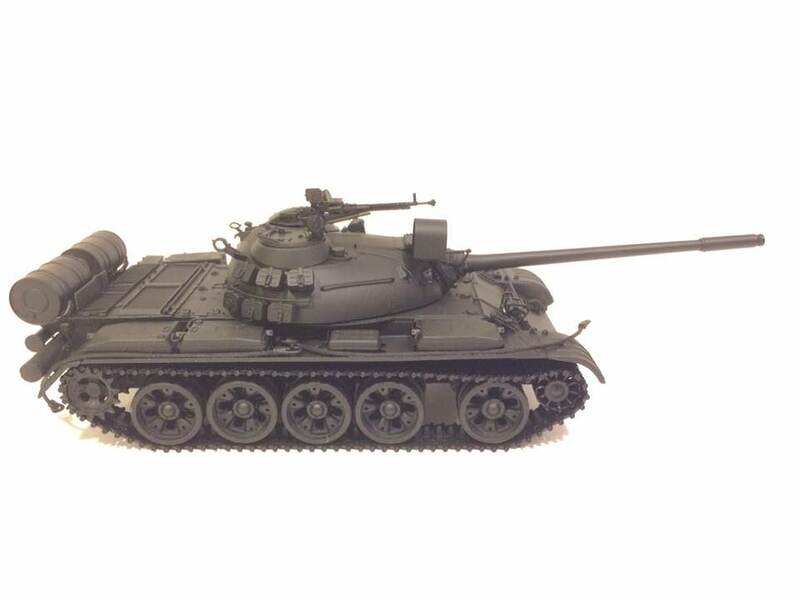 This time, it is kit 2054 Type 69-II (which belongs to the T-55 family). 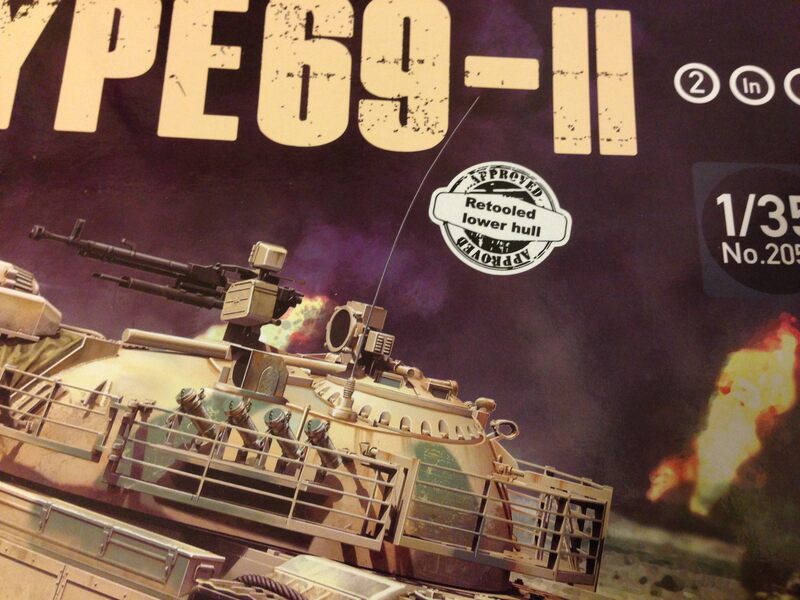 I noticed that the kit that I bought had a sticker saying it has a "Retooled lower hull". That was a pleasant surprise. I have to admit it, if they didn't mention it, I wouldn't have known the difference. 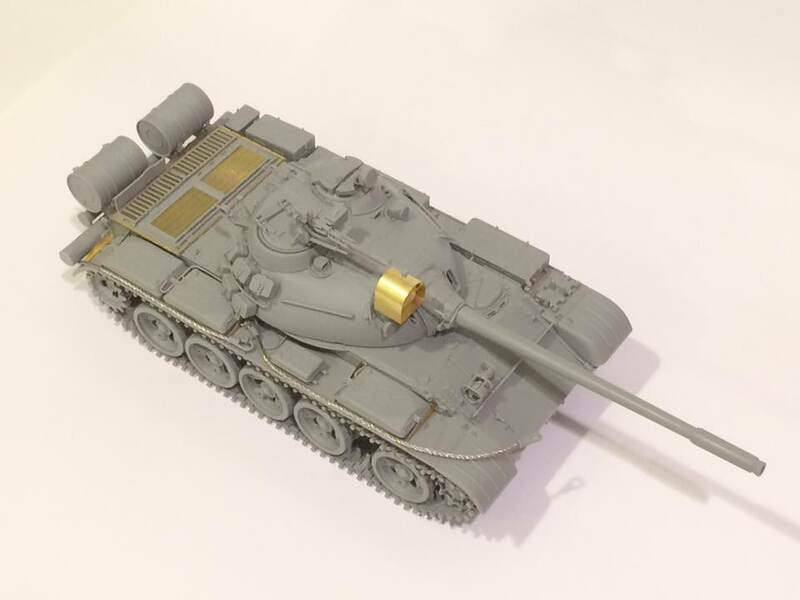 Apparently, the Type 69 lower glacis plate is rectangular in shape. 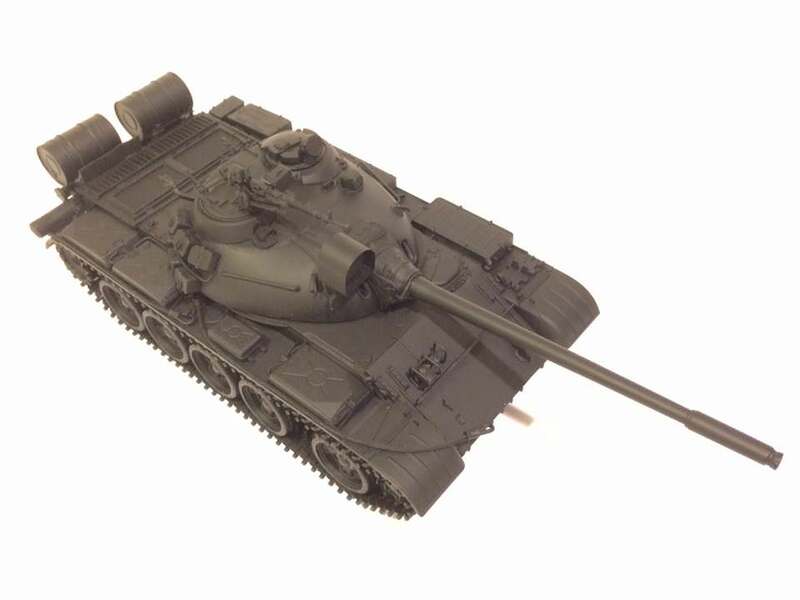 As opposed to the trapezoidal ones that the T-55 have. Here's a picture of the hulls side by side. 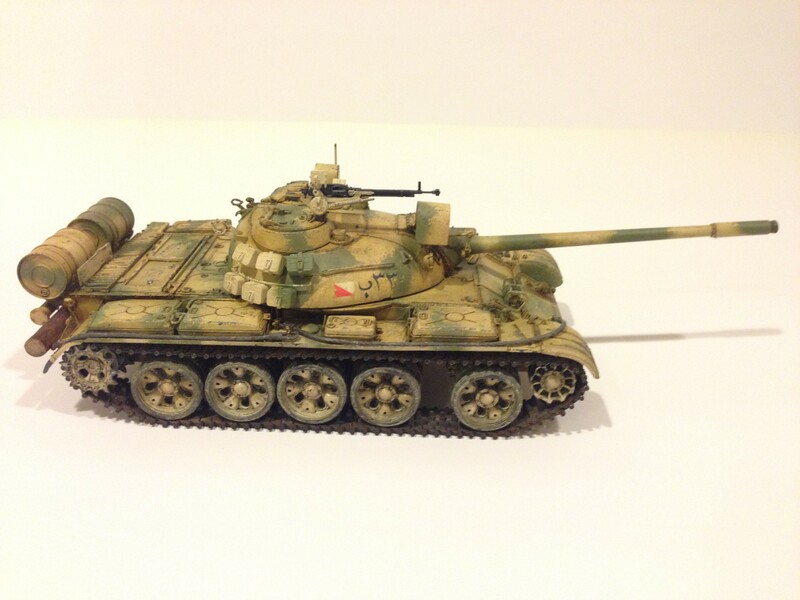 The one on the right is the Type 69. 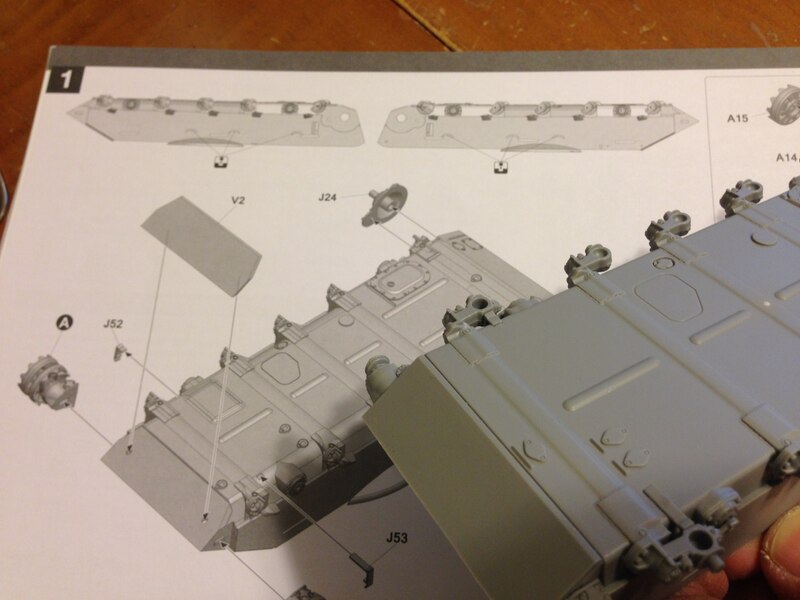 The instruction for the hull shows that some filling is required. The updated hull no longer necessitates that. Note that the instruction also shows the "incorrect" trapezoidal lower glacis plate. 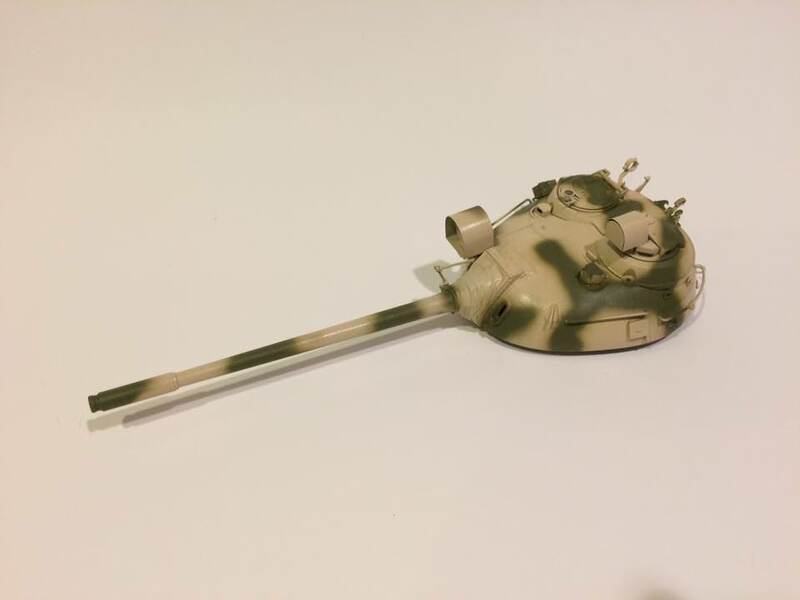 Here's my progress on this kit so far. 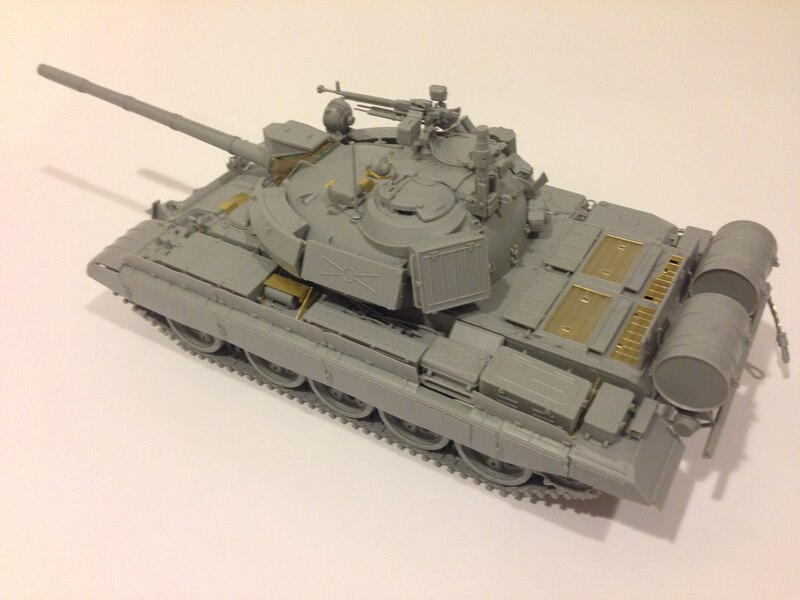 I hadn't planned on building any T55's until I cleared off my over crowded desk, but seeing your builds has peaked my interests! 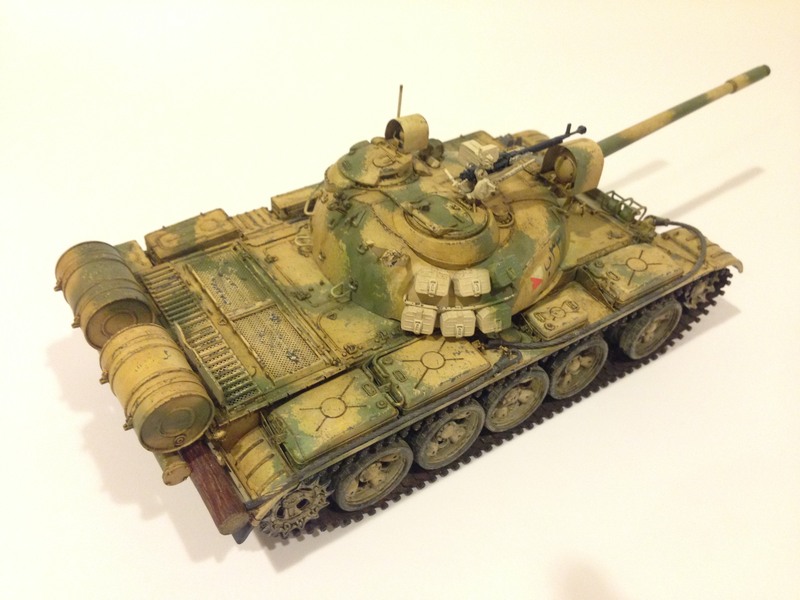 About a month ago I finished the Tamiya T-72 in Iraqi colours, and the trumpeter T62 in Soviet markings. Both were very easy and mostly OOB. 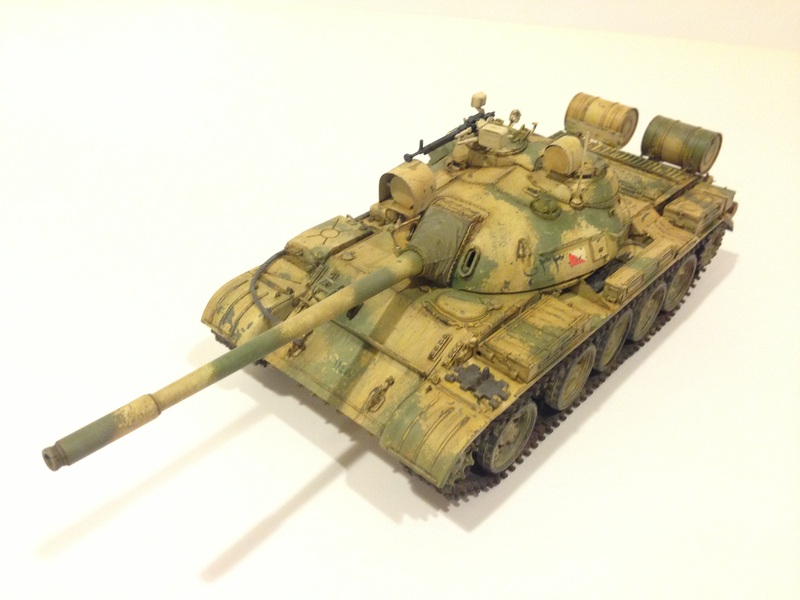 I planned on switching to some 1/72 aircraft that are partially built, but I may continue the T-series trend. My posts may take a while. I'm right at the beginning of a military posting across the country. 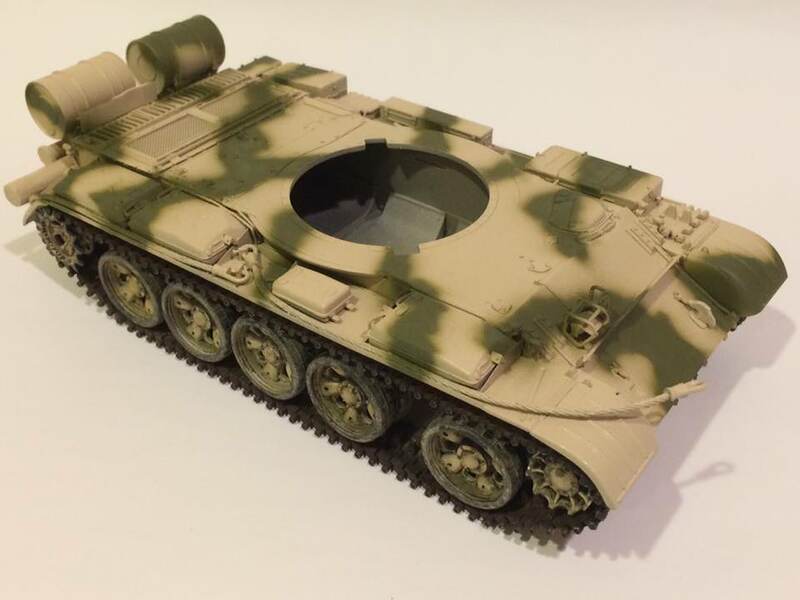 I will be staying in quarters for about 2 months until my wife can move out and I planned on bringing about 10 old 1/72 Heller aircraft kits that I need to re-scribe (all have amazing detail for their age, but they have raised panel lines) and I will build them as far as I can before painting is needed. I will now bring maybe 3 or 4 armour kits to brake up the scribing headache. Good thing about armour is you can almost completely build the model without having to pause and paint at stages like aircraft models. 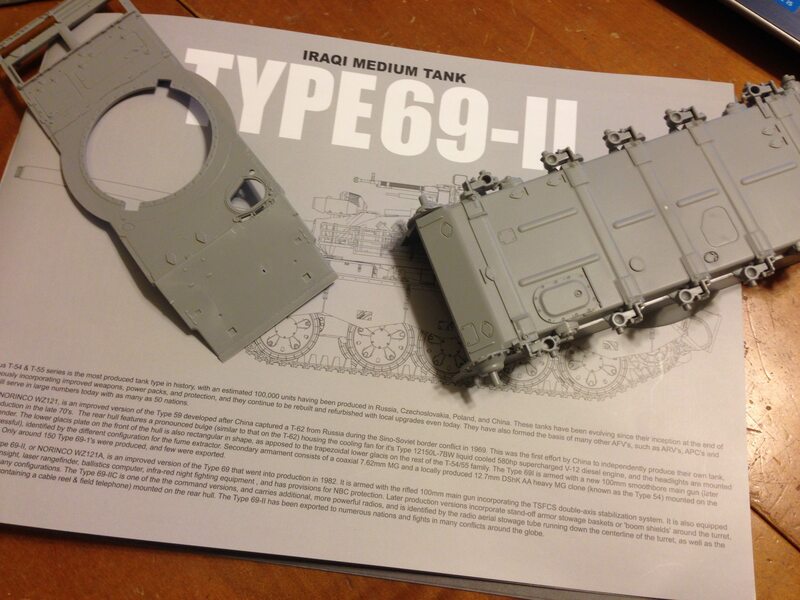 I won't have access to my spray booth, so it will basic old school "cut off sprue, clean up part, and glue". All will be built OOB. First of all, thank you very much for your service! I hope you can still continue working on your kits on your posting. I do have several aircraft models in my stash, all 1/72. It is very eclectic, several US and Soviet helicopters, a C-47, Horsa and Waco Gliders a G4M Betty Bomber, plus a couple of Predator drones. I have yet to start working on these. I agree with your comment about armour builds. One of the reasons I have started on new ones instead of painting them is that my spray booth is in our un-insulated garage. If I try to paint at night, it'll be too cold. We're starting to get warmer now. So, I'll paint them one at a time. when your done with this one you might get another cousin in the family. For sure, I have two others waiting. 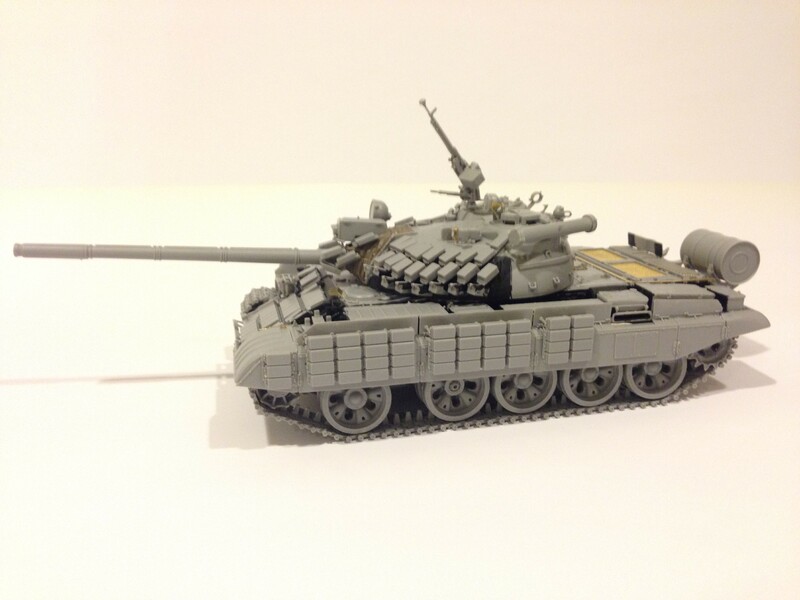 I'm planning the other T-55A to be one from Prague Spring and the T-54B as Syrian. Just went thru this again and I’m going to have to try binge building. 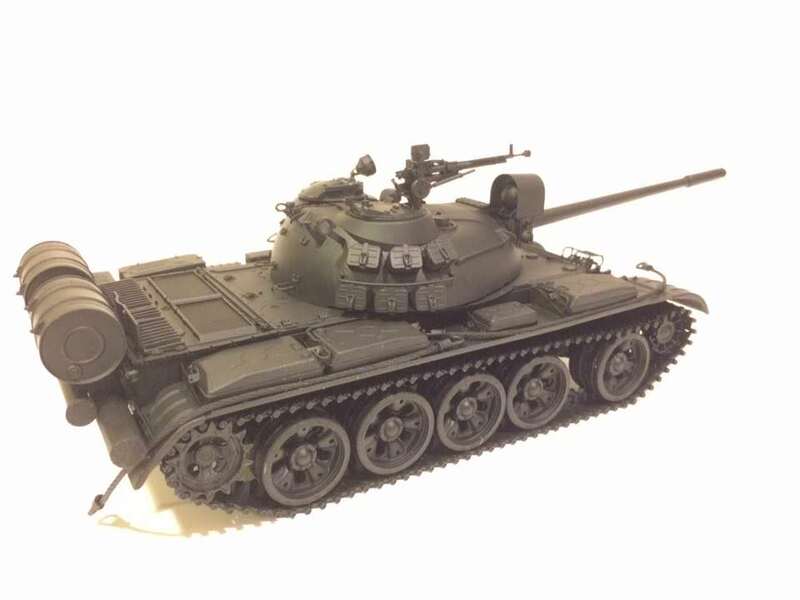 I'm on a mission from T-55 god! Seriously though, thanks for the link to the photo references. They are great!! 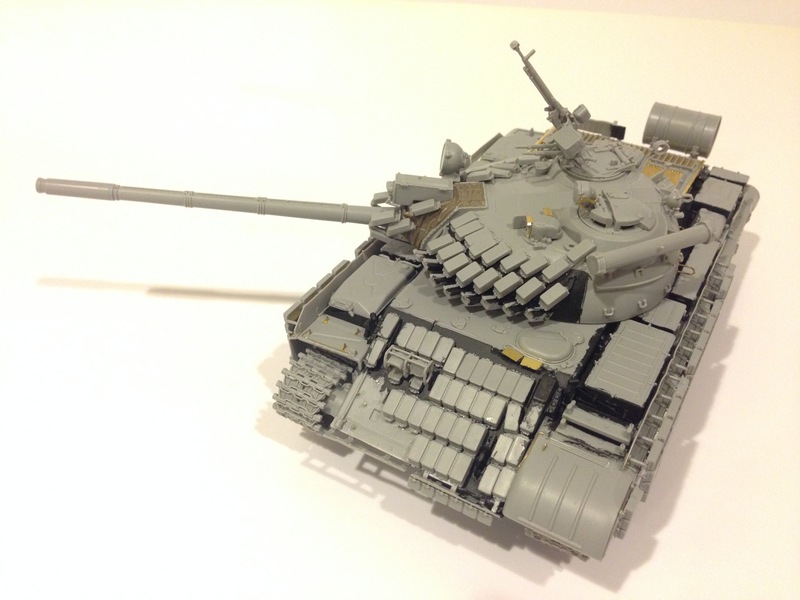 These are great... Really neat builds. 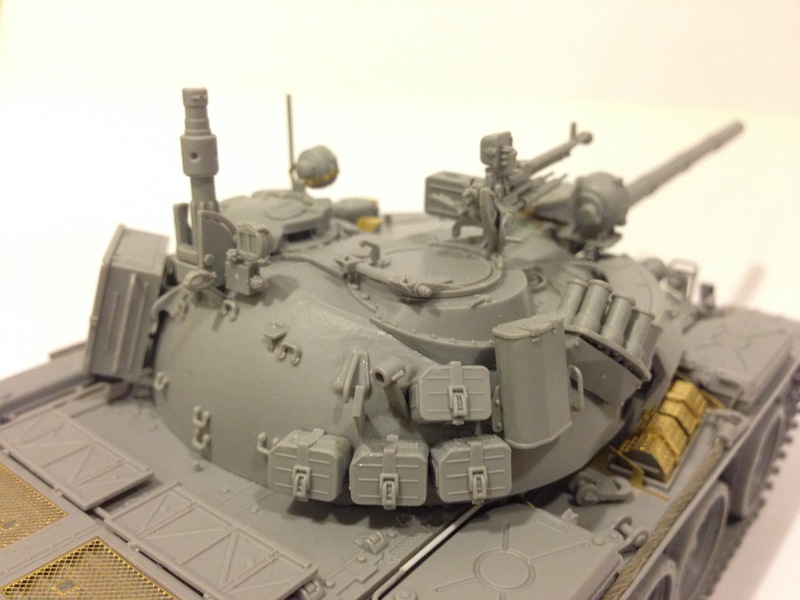 How about a different ‘take’ on the T55 subject matter, and branching out into IDF Tiran and then Achzarit types? Thanks. I truly do appreciate that. 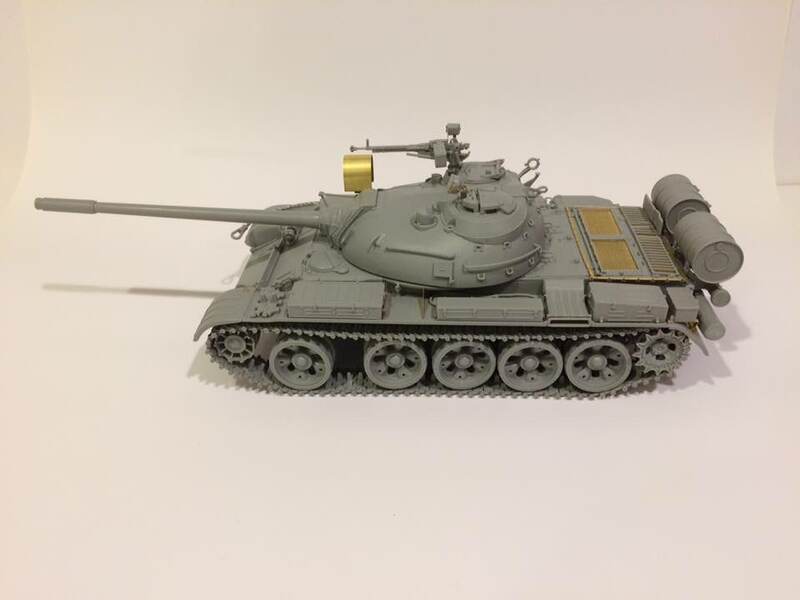 I'm personally loving this T-55 with all the colourful "crap" tied to the back.